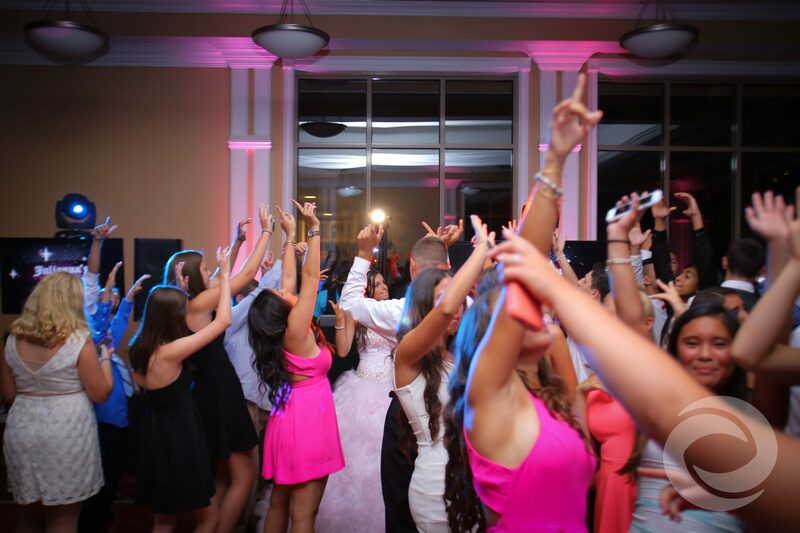 Julianna danced the night away at her sweet 16 at Knob Hill Country Club. Hurricane's ultimate goal is keeping the dance floor filled the entire night. Julianna's Sweet Sixteen was no exception. 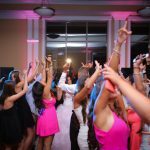 From her grand introduction to the last song, Julianna and her guests danced all night long at her sweet 16 at Knob Hill Country Club. Before the event started, Hurricane Productions' videography and photography team took advantage of the beautiful grounds at Knob Hill. Julianna, her family, and the court posed outside for amazing portraits, and candid shots. The coverage continued throughout the evening capturing special moments and all the action on the dance floor. MC Robbie and DJ Nate set the tone of the night with a club style introduction and carried this momentum throughout the night. Hurricane Productions also helped bring the celebration to life with lighting, and TV screens. Director of Operations, Nick Nittoli lit the ballroom up with pink uplighting, twin totem lighting, a custom name-in-lights and animated screen graphics to match the theme in the room. Hurricane Productions provides a full suite of media and entertainment services for special events. To learn more about our all-inclusive Sweet 16 packages and pricing, click here.